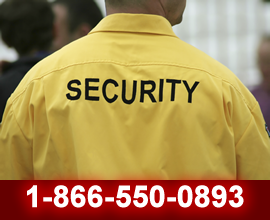 The mission of Bay Valley Security is to provide security services that represent perfection. The drive of skilled security professionals of Bay Valley Security offers unmatched levels of security services for the valued clients. We settle for nothing less than exceeding the customers expectation through striving for perfection. We employ people with a variety of experience in their backgrounds, but what they have in common is trustworthiness. Our selection process is very effective in identifying people with quality. If an applicant does not have a certain intrinsic level of integrity and a desire to be of service to others, then he or she is not likely to tolerate the hiring process which includes rigorous application, multiple interviews, tests and background checks. There is a basic, inherent goodness in people of Bay Valley Security that enables us to build complete trust in our client relationships and to feel a deep commitment and sense of responsibility to the client and his or her organization and its employees. Compared to other companies, we clearly set the standard. When a client or potential client thinks that the price is not competitive, we will take the time to explain to them the differences in overtime and other hidden charges not included in the initial price quote that the client may get from competitors. Everything that we do is included in one low rate - all benefits, all learning and development and all services. We do not ask for supplemental fees for extra services. What we say is our price is our price. There are no hidden costs with Bay Valley Security. After putting all these in consideration you will find out that we charge way less than other security companies. 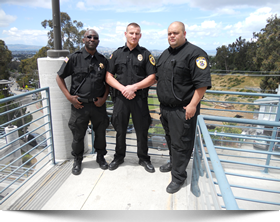 Bay Valley Security team members strive to exceed expectations by providing service that not only helps to protect client personnel and property, but also helps to ensure their business continuity and success. Bay Valley Security carries all the required liability Insurance. The liability insurance coverage is one million dollars ($1,000,000.00) per incident and ($2,000,000.00) aggregate. We also carry a $1,000,000 Workers Compensation Insurance Policy. Extra coverage is available on request through the company’s Director. Our 24/7 dispatch center provides communication services 24 hours a day, seven days a week, including holidays.